A bit of a departure from our usual format here, but I wanted to share this with you. 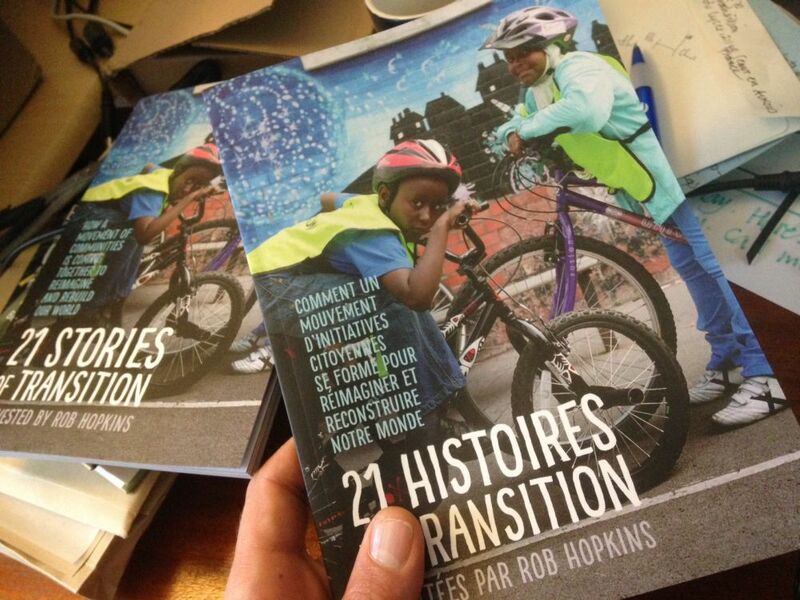 For COP21 December 2015, Transition Network created a great little book called ’21 Stories of Transition’, a full colour overview of some of the inspirational stories emerging from the Transition movement. All the printed copies are gone, so you can now download the pdf, for free, in English or in French. I’m very fond of it. Beautifully designed by Jane Brady of Emergency Design, it is one of my very favourite Transition publications. For me it really captures what a movement looks like that has the invitation to ask, and then act on, ‘What If?’ questions, at its heart. Enjoy. I’m so proud to be part of this movement, and with two projects in France , i will spread this pdf around ! Thanks Rob and Jane,the transitionteam in our village Salies and the maire of Ungersheim, Jean Claude Mensch and his wife Martine.